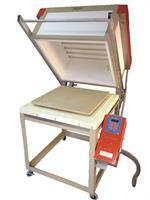 This element is for the Outer Oval glass kiln lid. 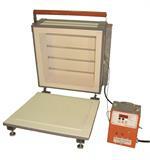 The kiln is a 240 volts, 36 amp or more if the kiln is deeper inside that the standard 9". If in doubt please call when in front of the kiln to get the right coil. It takes about 60 minutes to change this part. For Models GS-Oval, AFG-Oval 9" , AFG Oval 13" Not For the Ceram-a-Glass Oval Series. Please provide serial number for the kilns your parts are for. Usually located on the upper left side of the control box. This helps us make sure you get exactly what you need.